This week has been a huge success for Thomas Hardye food students! 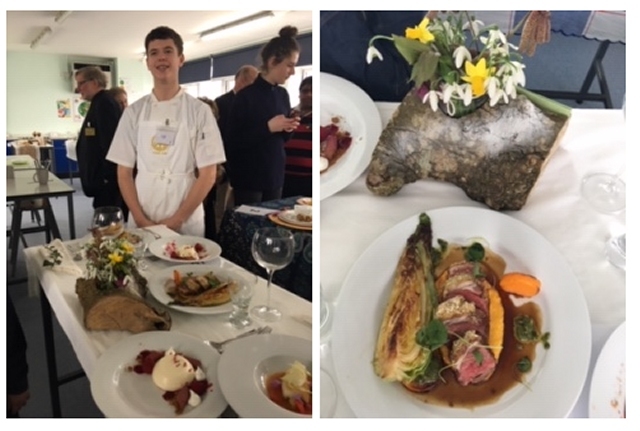 Year 12 Food Diploma student Oz Eastlake recently took part in the district final of the Rotary Young Chef competition in Yeovil, wowing the judges and securing a place in the Regional final in March. 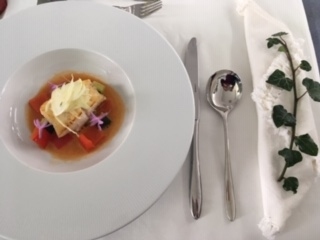 His starter of pan fried cod loin, with bouillabaisse and seasonal vegetables was delightful, and was followed by a main course of roast rump of lamb with a walnut crust, pesto, squash puree and hispi cabbage. 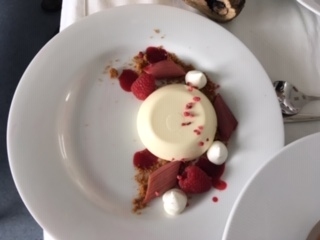 The set and flavour of his vanilla panna cotta was faultless and when decorated with young forced rhubarb, raspberry coulis and biscoff crumb, proved delightful. Congratulations to Oz, who worked incredibly hard to achieve these restaurant standard dishes, whilst remaining calm and focused throughout. Good luck at the Regional final in Exeter! Last Friday three year 10 GCSE food students, Tanisha Ring, Lucy Andrews and Jess Mutch, took part in the second round of the Yes Chef Cookery competition at Bournemouth and Poole College, where they had a to produce a main course of their own choice involving diced lamb, and also a surprise dish of apple charlotte, caramel sauce and homemade custard, all within two hours. The standard of cooking was really high for all the girls, with Lucy and Jess winning a place in the Semi-finals next month. This was a very difficult challenge as they were cooking in a restaurant kitchen with unfamiliar ovens and sparse equipment, so I am very proud of them for completing this highly technical task. Very well done to all of you and lots of luck in the semi-finals!